Losing someone close can be one of the hardest things to deal with in a lifetime. However, you can honor their life by giving a living legacy gift. These are in honor gifts or in memory gifts, given on behalf of that person special to you. What better way to honor a special person than by dedicating their memory to helping someone in need. A gift given in honor or in memory helps commemorate a life by taking the shape of lives of real people in need. You want important people to live on. Giving a gift in their name is one of the greatest ways to do that. It allows that person to continue on in the presence of a benevolent gift, going to help a struggling person, family or community. Your gift can help relieve hunger, suffering or other terrible situations. It can bring about positive change in a life that has never seen any. There is no better way to pay tribute than by helping others. It truly illuminates your love for that special person or people that have had an impact in your life. 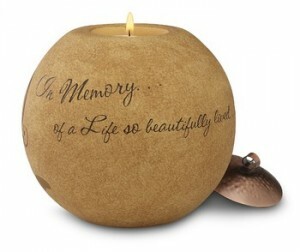 There are several places to give your in honor or in memory gift. Volunteers of America Greater New Orleans is a great option to consider. Volunteers of America Greater New Orleans takes steps to make sure that your gift is not given without recognition. They take strides in making sure that your loved on lives on through your contribution. All you have to do is provide an address of the honoree or a family member who you’d like to be notified. The organization will send a card to that honoree or family member notifying them that you have given a gift in honor or in memory. Volunteers of America Greater New Orleans offers three (3) ways to make a living legacy gift. The first is to donate your money securely online. You can e-mail the name and address of that honoree or family member who you would like to be notified of the gift. A second method for donation is to call the Volunteers of America Greater New Orleans at (504) 482-2130. Finally, if neither of these methods works for you, you can mail a check to the organization. Checks should be mailed to Volunteers of America, 4152 Canal St, New Orleans 70119. With the check, provide the information of whom you would like to be notified, and include your own telephone number and e-mail address in case of questions. Besides assisting you in your in honor or in memory gift, Volunteers of America Greater New Orleans is dedicated to ensuring your gift is used to help the needy. The organization is the affiliate of Volunteers of America national, but is locally-run, managed and governed. Your dollars will go back in to your local New Orleans community. Volunteers of America Greater New Orleans is a non-profit service organization that helps more than 63,000 people each year. They operate throughout 16 parishes in Southeast Louisiana. Their programs help to transform the lives of struggling citizens. Through a string of programs, they focus on helping children, families, persons with disabilities and seniors. Their programs range in helping at-risk youth to adoption to helping homeless veterans. Your gift would go to fund a program helping people that need help. Your in honor or in memory gift will honor the life of someone you feel should be honored. In doing so, it will help a person, family or community in need. It’s one gift that does two tremendous things.